6-21 FREE Concert w/the Parrots of the Caribbean @ the Greenwood Park Mall! You are here: Home / 6-21 FREE Concert w/the Parrots of the Caribbean @ the Greenwood Park Mall! More About 6-21 FREE Concert w/the Parrots of the Caribbean @ the Greenwood Park Mall! Greenwood Park Mall swings into summer with Great times in the Life Style Center, by the Beautiful Outdoor Fountain, on the North side of the Mall! Plenty of Food, plus Payless Liquors & Mallow Run Winery will be on site to quench your thirst! 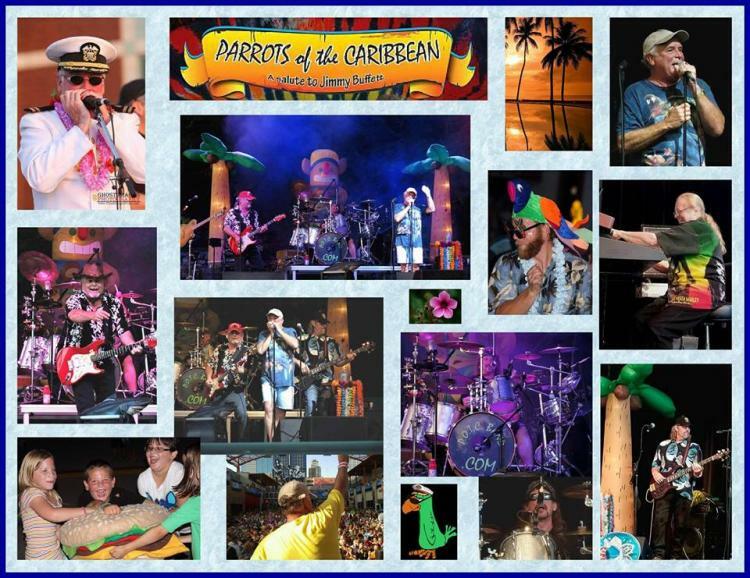 Meet up with Family & Friends to Shop, Eat, Drink, & Party to Great Music by the PARROTS OF THE CARIBBEAN, as they Rock you Buffett-Style with some of Jimmy & Friends biggest songs, fan-favorite Original Trop-Rock hits, & more! Ray Skillman Southside Auto Dealers! And Thanks to Payless Liquors & Mallow Run Winery! Greenwood Park Mall is The Place to Be for Great Deals, Great Meals, & Great FREE Music! Bring your Blankets & Lawn Chairs!